Sports Thread is the leading social media-based network that connects student-athletes with team members, coaches, parents and fans. Tournament and league organizations nationwide have endorsed Sports Thread as their go-to communications platform. Push notifications and group messaging makes it easy for tournament organizers to communicate directly with everyone involved. Student-athletes who are under the spotlight at every game can create a personal player profile — Athletic Digital Identity — to showcase their performances, be discovered and promote themselves to coaches and colleges nationwide to secure athletic scholarships. 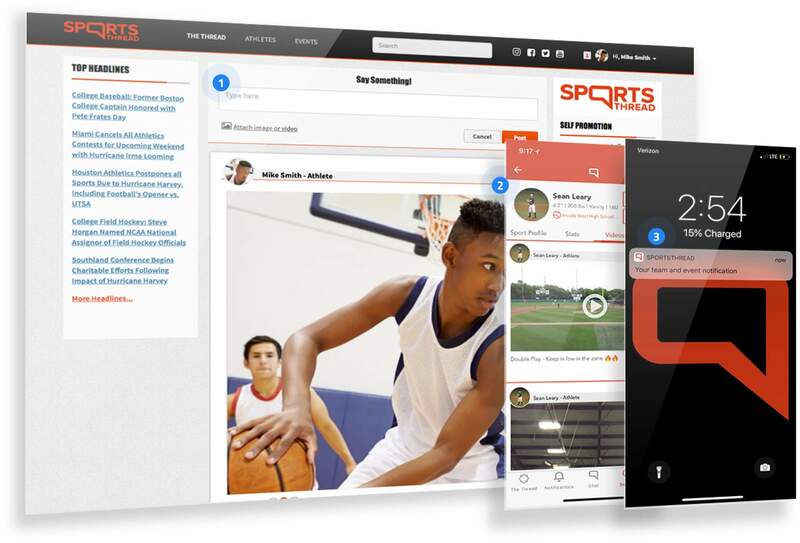 Sports Thread’s "Digital Coaches Book" makes it easy for college coaches and scouts to identify and evaluate student-athletes at tournament events. 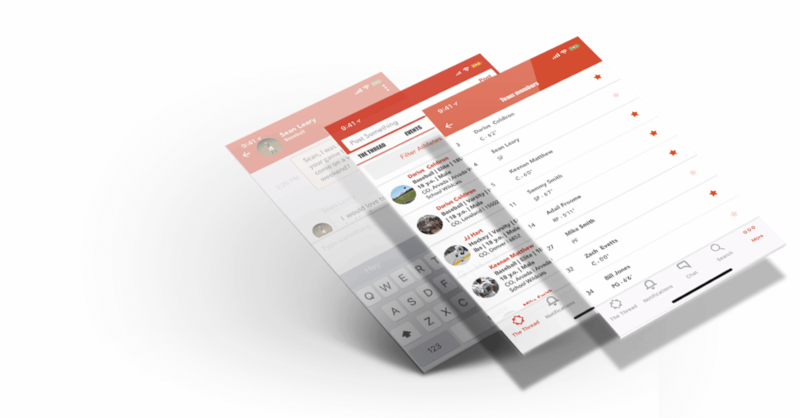 Parents and fans that manage their athlete’s participation in tournament events depend on Sports Thread to stay up-to-date on news and information.